Recent reports indicate that the Trump Administration plans to admit an all-time low number of refugees in the coming fiscal year. Furthermore, the White House is justifying this stunning abdication of leadership during the worst refugee crisis in recorded history with a cynical and misleading argument: the administration has pointed to the growing backlog of asylum cases and argued that Refugee Corps officers should be re-assigned to deal with the backlog of asylum cases. That move would not only be shortsighted, but unnecessary. 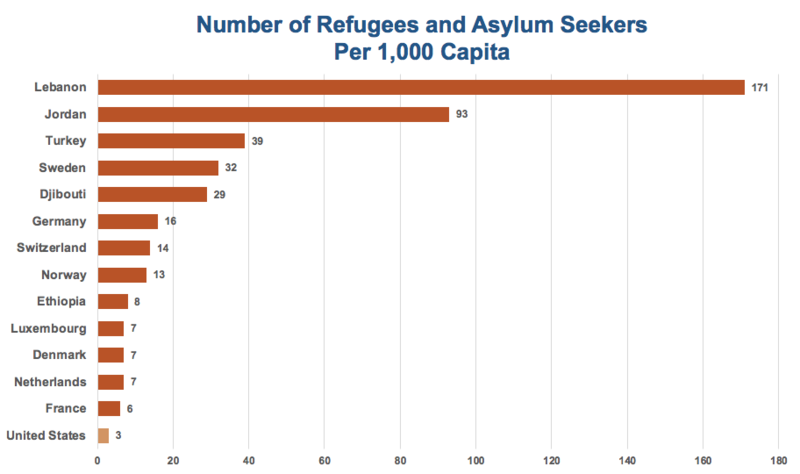 The United States can, and has, consistently admitted both refugees and asylum seekers. The protection offered by the United States is not a zero-sum game; one program need not come at the expense of the other. Rather than rob resources from the Refugee Corps, the Trump Administration should properly fund and staff both the Refugee Corps and the Asylum Division, including by hiring officers capable of addressing the backlog for which funds are already allocated. Additionally, since the asylum backlog has been exacerbated by the Trump Administration’s decision to send Asylum Division personnel to the border—and away from parts of the country with the greatest need for these resources—the White House is now in a position to point at the mess it helped create as justification for limiting refugee admissions. While at first blush it might seem that a decision to prioritize processing asylum seekers—refugees already in the county—before addressing the plight of those awaiting resettlement could help manage limited government resources, this rationale is in fact just the latest in the long list of the administration’s anti-refugee efforts.